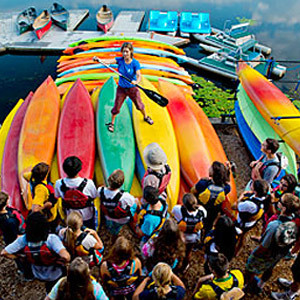 Every kayaker remembers the excitement of their first roll! 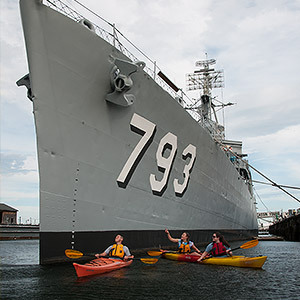 Rolling a kayak is an invaluable safety skill where a capsized paddler rights the boat without exiting the cockpit. 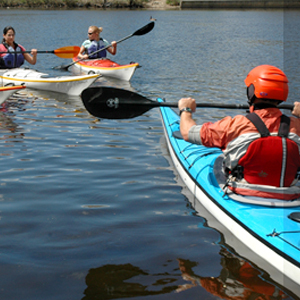 A reliable roll allows you to paddle with more confidence in a greater variety of ocean conditions. Our instructors will lead you through a series of steps designed to build confidence and make rolling as easy as possible. 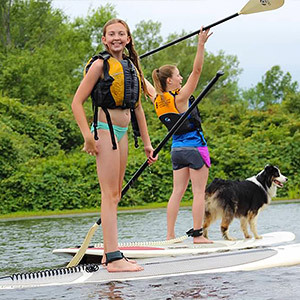 Working on the roll will also improve your bracing skills and thereby decrease your risk of capsize, allowing you to have more fun on the water! Our Rolling Classes are designed both for paddlers who have never attempted rolling and for those who have done some work with the roll and are still not there. For those looking to advance their roll to the off-side or learn additional rolling techniques, we recommend a private lesson. If you wish to practice your skills during the winter without any instruction, attend a pool practice session. 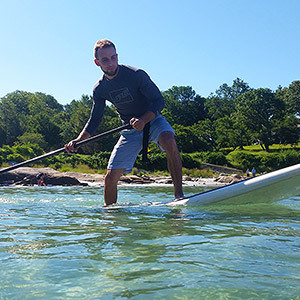 During the fall and spring we hold our rolling classes in the pool and in the summer, we hold our rolling classes in the clear water and sandy beaches of the Mystic Lakes. We strongly recommend private lessons for rolling, you’ll get individualized attention and instruction. Please contact us with preferred availability and we’ll be happy to set this up for you at your convenience. Rolling Class, June-September meets for one 3-hour session at Mystic Lakes in Medford. 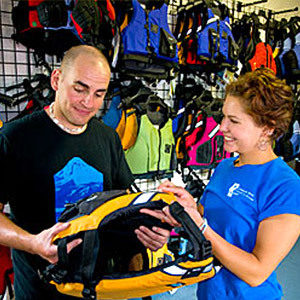 $85 includes three hours of instruction, use of a whitewater kayak, and one week of unlimited on-site practice time at any of our locations. 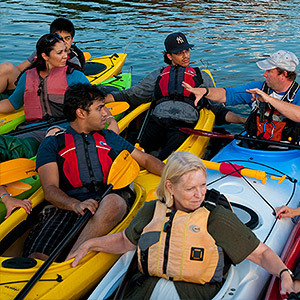 Formal introductory instruction, like our Introduction to Kayaking or Introductory Trip, is recommended, but not required. Expectation of performing wet exits and repeated immersions of the head and torso. 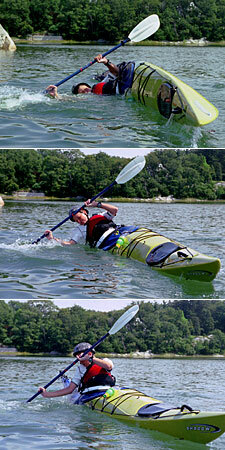 Recommended Progression for Aspiring Sea Kayakers.